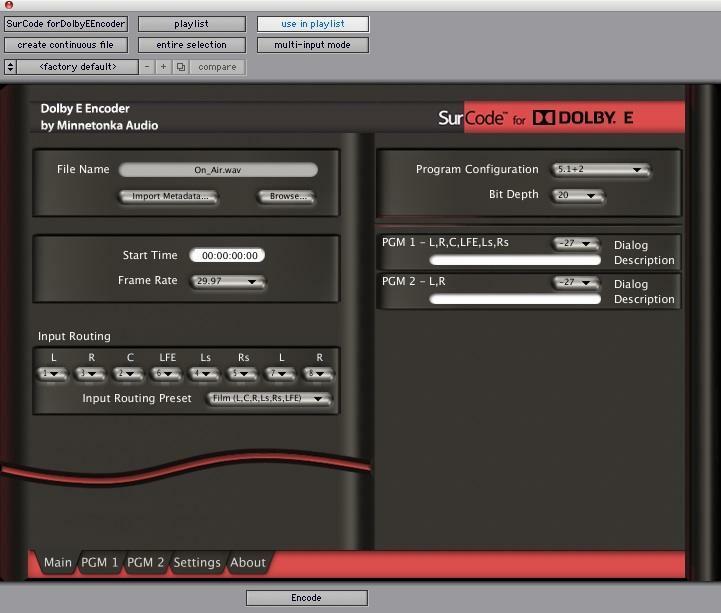 SurCode for Dolby E Encoder, Other Music Software from Minnetonka. 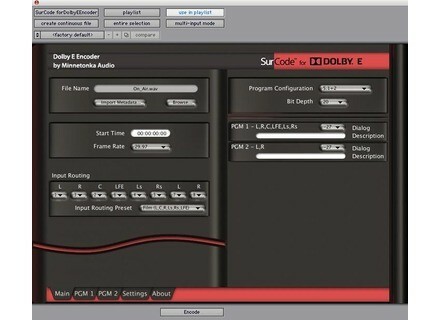 Minnetonka Audio Software has updated the SurCode Dolby E Encoder plug–in for Pro Tools and VST workstations to version 1.7. Added feature to improve the accuracy of encoding start time (where timeline selection determines encoding start) on some VST hosts. Fixed and improved text entry (Start Time and Description Text) on hosts where keystrokes are not passed to plugins. Fixed a Windows VST end-of-encode crash. Added Frame Offset control - no offset, +/-1 frame, +/-2 frames. Fixed VST Windows keystroke support (for entering Program Description Text). Added option to allow the host selection start sample (and/or the Session Start in AudioSuite) to be the Dolby E timecode start time. VST preroll (negative sample number) fix. Frame Offset is recorded in the Coding History section of the BWF bext chunk in accordance with EBU Technical Recommendation R98-1999. AudioSuite Encode and Encode w/Region button text changed. Serial port metadata input now supported. Timecode Enable setting now correctly stored in saved sessions or settings files. Loopmasters Deep Tech & Progressive Deep Tech & Progressive features over 950MB of 24-bit sample content.